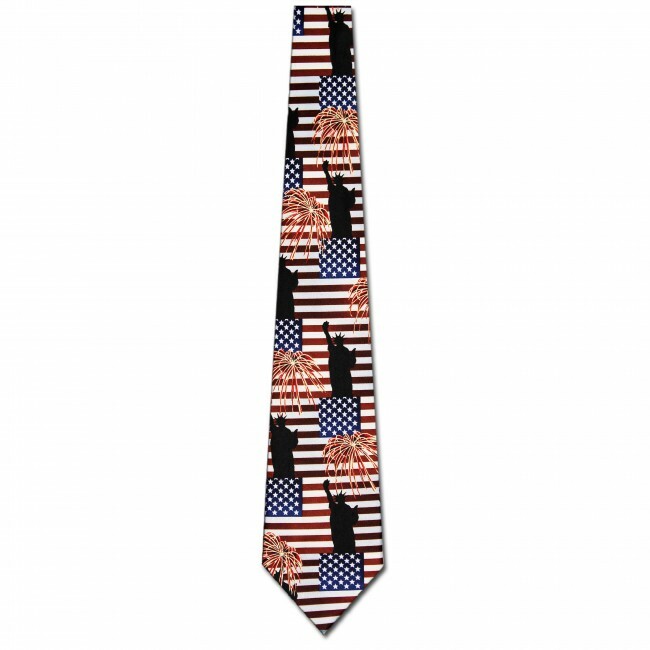 Let freedom ring in this patriotic And Liberty For All necktie! 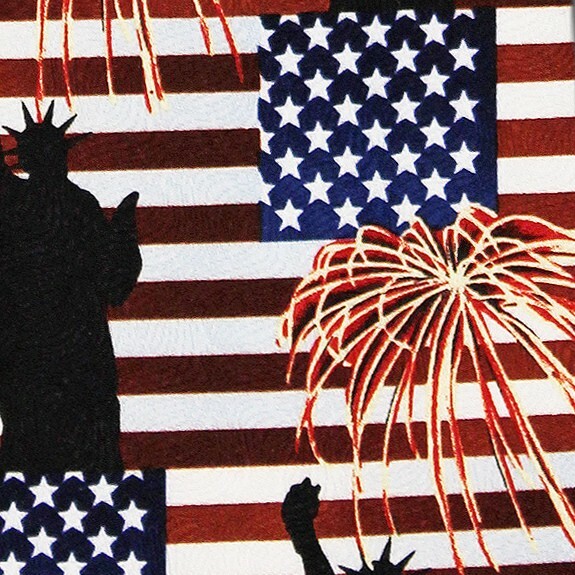 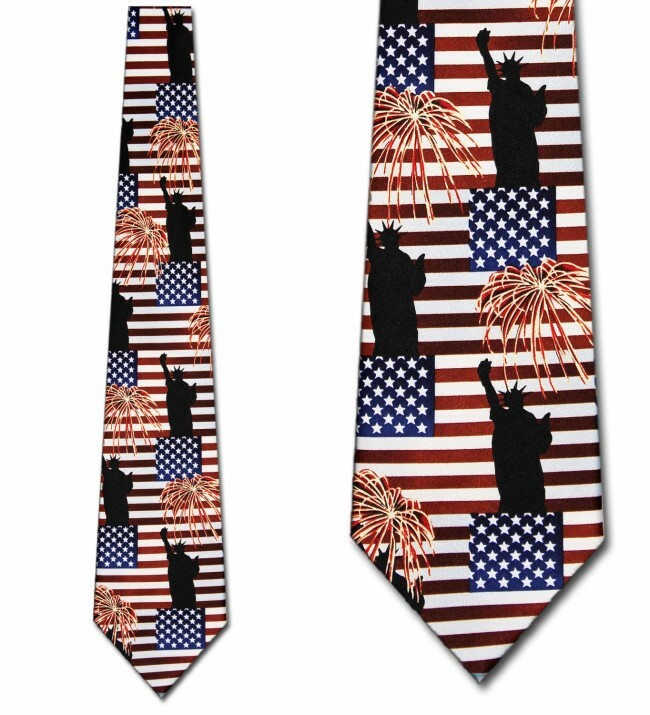 Tie features a background repeat of the American flag along with silhouettes of the Statue of liberty and small bursts of fireworks. Stand proud in this And Liberty for all neck tie at your next holiday or event.